The BSEB admit card is available for download till January 10. The Bihar Board will conduct the practical exams from January 15, 2019, and it will end on January 25. 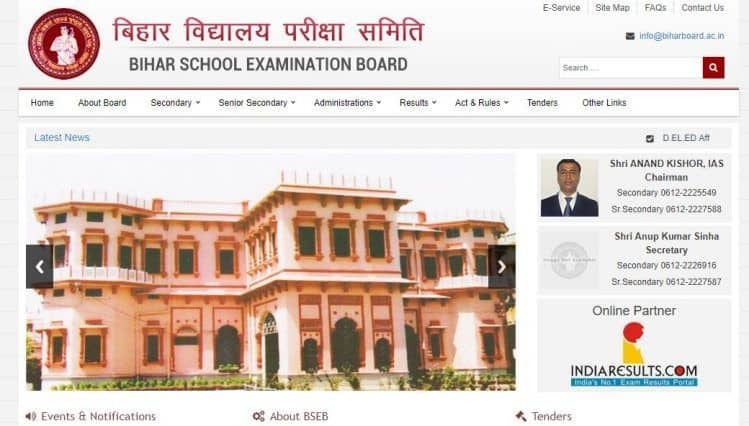 BSEB Admit Card 2019: The BSEB Admit Card 2019 for Class 12th practical examination has been released on the Board’s official website- biharboardonline.bihar.gov.in. Students may check the website of Bihar School Examination Board (BSEB) and download their admit card. The BSEB admit card is available for download till January 10. The Bihar Board will conduct the practical exams from January 15, 2019, and it will end on January 25. Principals of schools are directed to download the admit cards online using their User ID and password and issue it to the students after putting their signature and school stamps before the commencement of practical exams. Step 1: Visit the BSEB official website- biharboardonline.bihar.gov.in. Step 2: On the homepage, click on the link which reads- ‘BSEB Admit Card 2019′. Step 3: Enter your details and submit. Step 4: Download your admit card. Step 5: Keep a copy of it for future use. Candidates facing any difficulties regarding the downloading of admit card may contact on these BSEB helpline numbers: 0612-2232249, 2227587 and 2227588. Out of the 12.61 lakh students who appeared in the BSEB exams in 2018, only 4.37 lakh – or 34.65 per cent — passed the exams while more than 8 lakh candidates failed. In order to pass the intermediate exam, a candidate must obtain 30 per cent of total marks in the theory portion of each subject and 40 per cent of total marks in practical of each subject. The Bihar School Examination Board is a statutory body under section 3 of the Bihar School Examination Act – 1952 which is functioning under Government of Bihar devised to conduct examinations at secondary and senior secondary standard in both government and private schools belonging to the state of Bihar on the basis of syllabus as prescribed by the Government of Bihar.